The M.S. 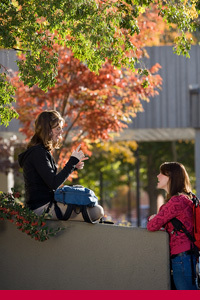 (Plan I) degree program includes both coursework and research. It culminates in a written master's thesis describing the results of original research of publishable quality. Two to three years are usually needed to complete the required 18 credit hours of formal coursework (including at least 12 credit hours at the 500 level), pass the cumulative examinations comprising the Master's examination, complete the thesis research, and write and defend the thesis. Students who select this degree have found it appropriate if their career goals are, for example, teaching in a two- or four-year college or finding technical employment in the chemical industry. An alternative M.S. degree program permits earning a graduate degree in chemistry without having to prepare a thesis. Approximately two years are required to complete the minimum of 32 credit hours of graduate level coursework (including at least 12 credit hours at the 500 level) and pass the Masters examination. This examination includes the preparation and oral defense of a proposal and a written component in the form of cumulative exams. A coursework Masters is typically chosen by high school teachers (both domestic and foreign), and its requirements are generally satisfied by most students in the Ph.D. program. Most graduate students enroll in this program. While at least 18 credit hours of formal lecture courses at the 500 level are required for the degree, the central focus is on research. This effort culminates in the preparation and defense of a dissertation describing an original contribution to the field of chemistry. Intensive training in research prepares Ph.D. candidates for a career in university teaching and research, industrial or governmental research, or college teaching. The Ph.D. preliminary examination includes two components: cumulative examinations and the oral defense of a research proposal. The cumulative examinations are used to ensure that each student develops adequate depth of knowledge in one or more of the broad areas of chemistry: analytical, biological/biophysical, inorganic, organic, physical. These examinations are given eight times each academic year. A student must pass five of the examinations within sixteen attempts in order to be admitted to candidacy for the Ph.D. degree. The cumulative examinations generally emphasize a knowledge of chemistry fundamentals and familiarity with the current literature. During the student's fourth semester in the program, he or she is expected to prepare, present, and defend a proposal that defines the goals, rationale, and methodology of the anticipated research. The research proposal is presented in seminar form and is then defended orally before the student's Committee-on-Studies. This defense provides the oral examination traditionally required for admission to candidacy for the Ph.D. degree. After admission to candidacy, the student completes the dissertation research and writes the dissertation under the supervision of the research advisor. The final examination for the Ph.D. is an oral defense of the dissertation. The time required to complete all requirements for the Ph.D. degree depends on the student's preparation prior to entering the program and on his or her drive and perseverance in following through a research plan. However, many students are able to earn a Ph.D. in four to five years.